Since buying the top, I've had alternating Guns N' Roses songs stuck in my head. Luckily, I love this band so I don't mind one bit. It's actually kept a perma smile on my face and that's always a good thing. The most prominent has been Paradise City -- I always picture the scene in Can't Hardly Wait when the nerdy guy was loaded and singing it. Classic. i love such a rocky look. great jacket, bad and shoes! You look AMAZING in that Rock-Glam look!!! 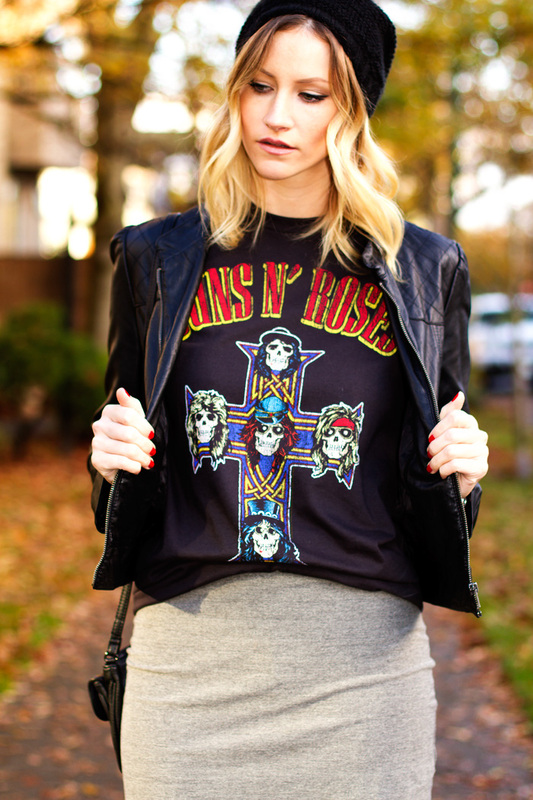 Gun's & Roses were my fav rock band when I was young!!!! !Love the beanie, I am wearing one too in my new post!!!!! You are a TRUE beauty!!!!!! Love your look today! Great blog! Love this style, it's not so often I have it myself, but I love it! You look fab! By the way I think you gonna love the movie ;))) I did! Hope have had a great weekend! Look at you! You look amazing. Loving the grunge look on you, yet somehow you still make it look ladylike haha. 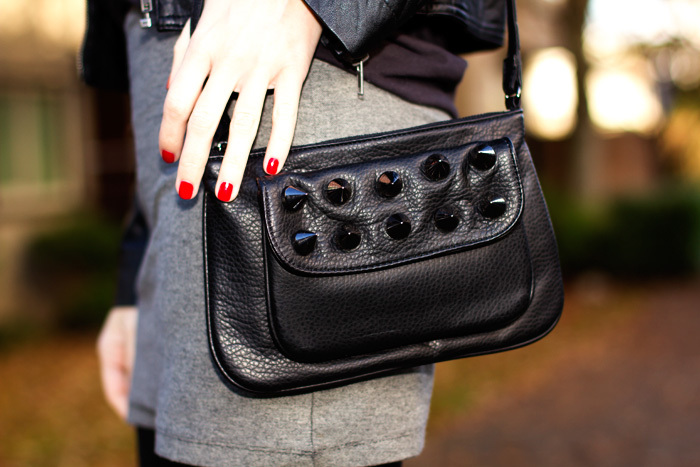 love your rock chic look :) I bought online as here we don´t have black friday. Got some bargains too. I just have to wait for them to arrive. Love your punky rocker chic look! I loved Can't Hardly Wait, it was just on tv just the other day and I watched it again! Love your cute shoes! I did a little bit of black friday shopping but only online. This outfit is so much fun and looks very cool! Love the new bag and perfect with your shoes! Oh my gosh, you just made me want to watch Can't Hardly Wait - classic! Love your outfit! I love this rocker look on you! You look fabulous! *___* OMG! I love this look!! I didn't venture out for Black Friday, but I did do some online shopping! Love this look and the edgy vibe to it! Im a new follower! WOW is all I can say!!! Very fun outfit and you really rock this outfit. Killer shoes!!! Yes ! Loving the edgy meets glam look.